My account doesn't show up when I try to map an account under the Settlement page. For the most of the accounts you create here, you'll have to select Type Income or Expense. Make sure you click on Refresh after you've created the account. For the Default Other Income account, you should have an "Income" account with the detail type of "Other Primary Income." 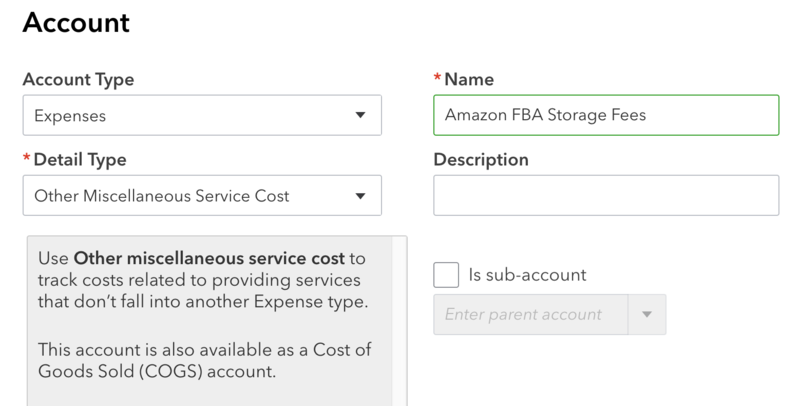 For the Default Other Fee account, you should have an "Expense" account with the detail type of "Other Miscellaneous Service Cost." All other income or expenses under "Custom Account Mapping" should be an Income or Expense account with a Detail Type that best matches the transaction. If you're unsure, then use Type Income and Detail Type Other Primary Income or Type Expenses and Detail Type Other Miscellaneous Service Cost. If your accounts are missing from the dropdown menu and you're sure you've created them and then click on the Refresh button.